Thank you for expressing an interest in having your child considered for early entrance into kindergarten for the upcoming school year. A child is eligible for admission to kindergarten if the child is five years of age by August 31 of the current school year. 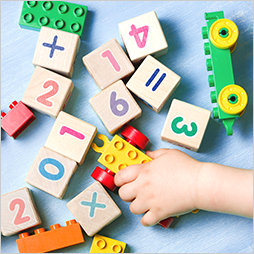 If a child turns five between September 1 and December 31 of the current school year, he/she is eligible to apply for early kindergarten entrance testing. Testing will take place on Monday, June 3 and Tuesday, June 4. Testing will be done in a group/classroom setting with six to nine children being tested at a time. Testing will include academic, social and motor skills. No other testing information will be given. All results are final. Times are 8:30 a.m., 10:30 a.m., or 12:30 p.m. Testing will last approximately one hour. Parents/guardians must stay on site until the testing is completed. We will not permit parents/guardians in the testing classroom. All tests will be given at Queen Creek Elementary School at 23636 S. 204th Street, Queen Creek, AZ. The non-refundable cost is $30, payable by cash or check. Please fill out the early kindergarten testing application. Please print and mail or bring the form in with the registration fee to the district office at 20217 E. Chandler Heights Road, Queen Creek, AZ 85142; ATTN: Early Kinder Testing by May 29. Please call (480) 987-7488 after March 26 to set up an appointment for your child.